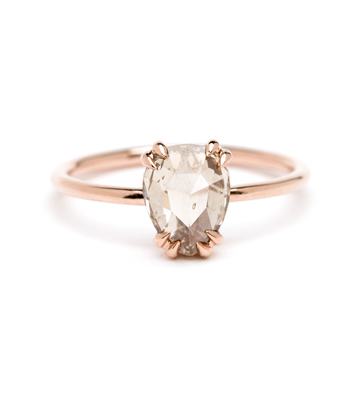 Shown in 14K shiny rose gold. 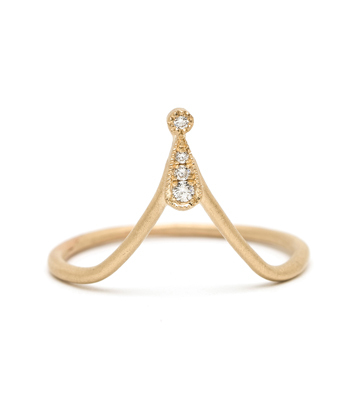 Five graduated bezel set diamonds make up the the arched centerpiece of this petite Sunrise Ring. 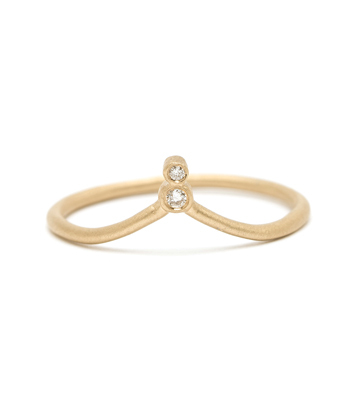 The smooth wire band creates an elegant line that pairs easily with most of the stacking rings in our Signature Collection. 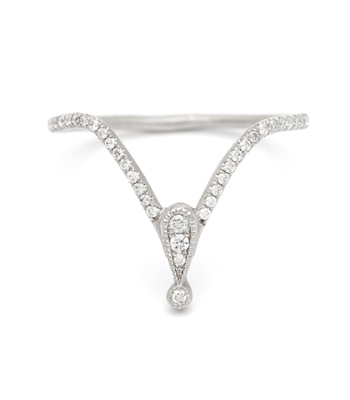 We designed this piece to gracefully wrap around a low-set solitaire engagement ring. 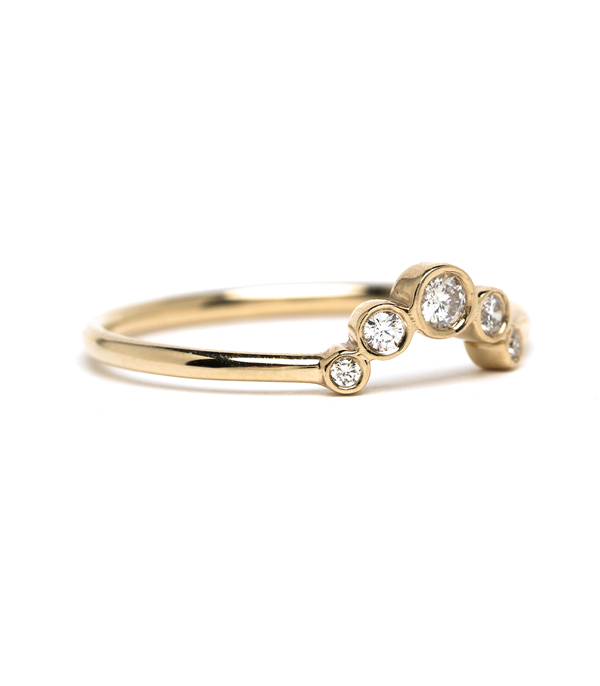 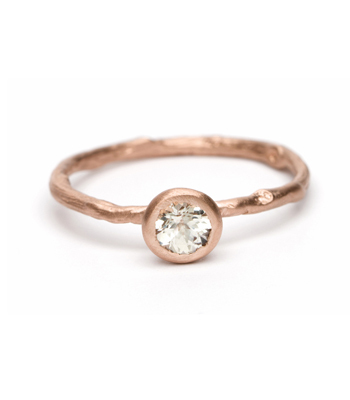 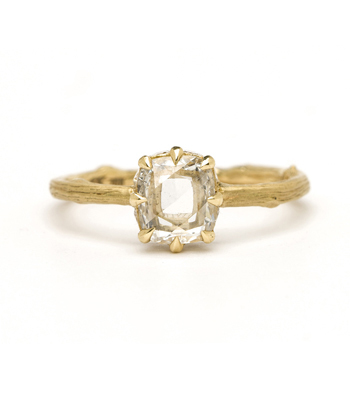 Petite and lovely, this little beauty makes a lovely wedding band or stacking ring alike. 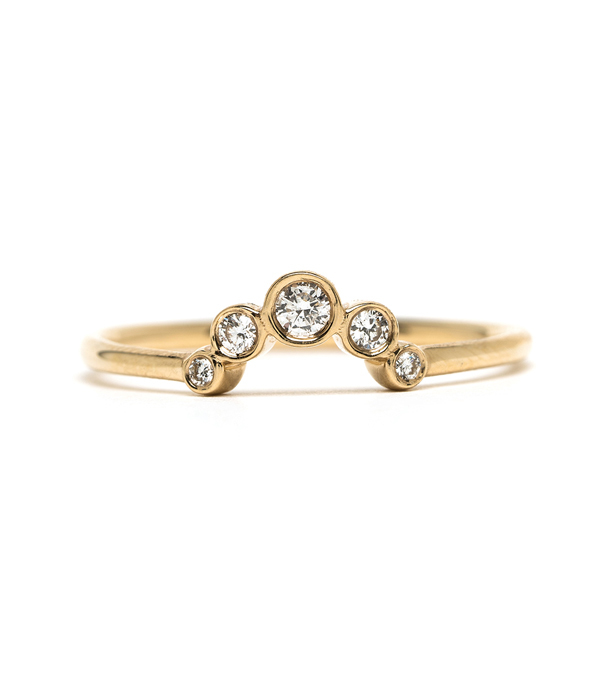 This solid gold stacking ring is set with 0.10ctw of diamonds, and handmade by our artisan jewelers in Los Angeles. 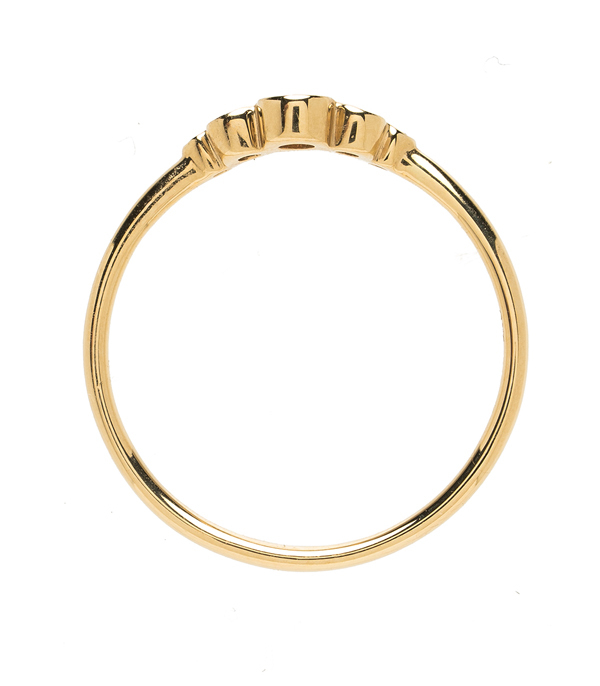 Categories: Alethea, Nesting Bands, Stacking Rings, Women's Wedding Bands.